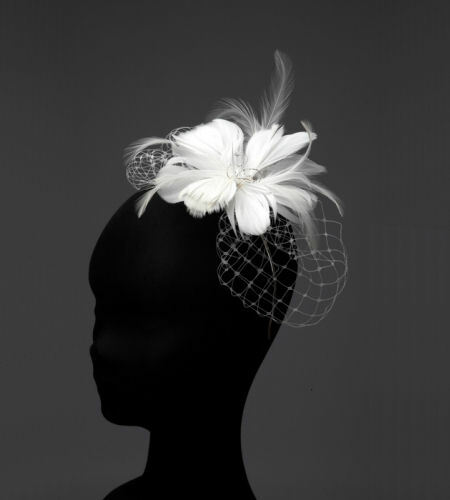 Soft feathers arranged in floral shape with swarovski crystal and pearl centre with delicate net detail. This design works really well for Mother of the bride. Colour options available.